Delano, Anthony. Slip-Up. The Inside Story of the Wild International Hunt for the Last of the Great Train Robbers. New York. Quadrangle. 1975. 250 pps. Octavo. Hardcover. First edition. Illustrated. Fine copy in fine dust jacket (in mylar). Demoro, Harre and Vernon Sappers. 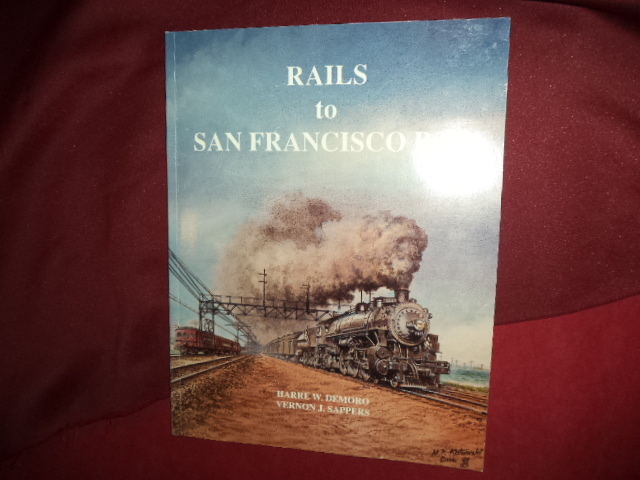 Rails to San Francisco Bay. Photo available. New York. Quadrant Press. 1992. 96 pps. 4to. Soft cover. First edition thus. Illustrated. Important reference work. Fine copy. Demoro, Harre. 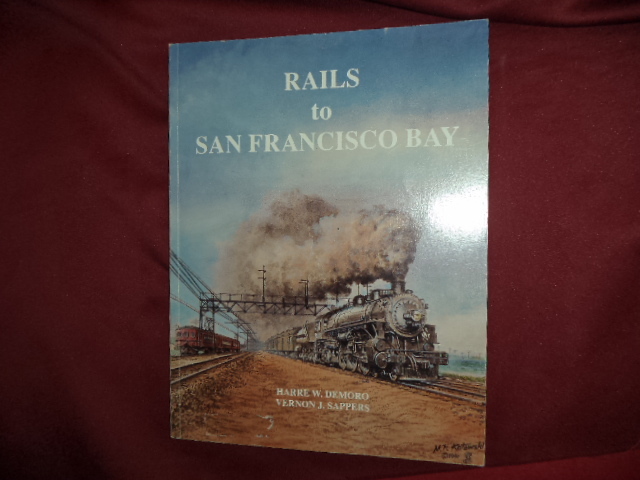 Rails to San Francisco Bay. Photo available. New York. Quadrant Press. 1992. 97 pps. 4to. Soft cover. First edition. Illustrated. Illustrated. Fine (owner name on end paper) copy. Demoro, Harre. Southern Pacific Bay Area Steam. Photo available. Burlingame. Chatham Pub. Co. 1979. 143 pps. 4to. Hardcover. First edition. Illustrated. Fine copy in fine dust jacket (mylar). DeNevi, Don. America's Fighting Railroads. A World War II Pictorial History. Photo available. Missoula. Pictorial Histories Pub. 1998. 142 pps. 4to. Soft cover. Reprint. Illustrated. Important reference work. Fine copy. DeRouin, Edward M. Moving Mail and Express by Rail. Photo available. La Fox. PIxels Publishing. 2007. 223 pps. 4to. Decorated hard cover. First edition. Full number line. Illustrated in black, white and color. Important reference work. Fine copy. Dixon, Frank. Railroads and Government. Their Relations in the United States. 1910-1921. Photo available. New York. Charles Scribners & Sons. nd. 384 pps. Octavo. Hardcover. First edition. Very good copy. Lacks title page. Remnants of dust jacket glued to front cover. Doane, Francis. Electric Railway Engineering. Railway Systems... Line Construction, Track Construction... Motors... Speed Controls... Calculations... Photo available. Scranton. International Textbook Co. 1925. Octavo. Hardcover. First edition. Illustrated. Fine copy. Donovan, Frank P. Jr. Railroads of America. Photo available. Milwaukee. Kalmbach Publishing, Co. 1949. 244 pps. Octavo. Hardcover. First edition. Illustrated. Fine copy in very good (edge chipped) dust jacket (in mylar). Donovan, Frank. Railroads of America. Milwaukee. Kalmbach. 1949. 244 pps. Octavo. Hardcover. First edition. Illustrated. Fine copy. 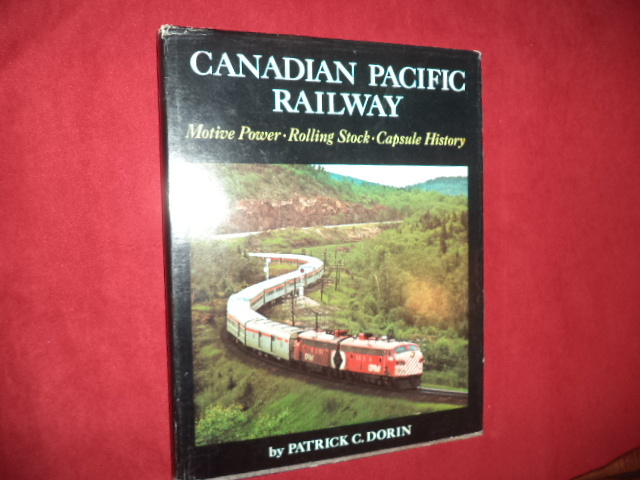 Dorin, Patrick C. Canadian Pacific Railway. Motive Power-Rolling Stock-Capsule History. Photo available. Seattle. Superior Pub. 1974. 175 pps. 4to. Hardcover. First edition. Illustrated. Fine copy in fine dust jacket (in mylar). Dorin, Patrick C. Canadian Pacific Railway. Motive Power-Rolling Stock-Capsule History. Photo available. Seattle. Superior Pub. 1974. 175 pps. 4to. Hardcover. First edition. Illustrated. Important reference work. Fine copy in fine dust jacket (in mylar). Dorin, Patrick C. Commuter Railroads. A Pictorial Review of the Most Traveler Railroads. New York. Bonanza Books. 1972. 192 pps. 4to. Hardcover. Reprint. Illustrated. Fine copy in near fine dust jacket (in mylar). Dorin, Patrick C. Commuter Railroads. A Pictorial Review of the Most Travelled Railroads. Seattle. Superior. 1972. 192 pps. 4to. Hardcover. Reprint. Illustrated. Fine copy in fine dust jacket (in mylar). Dorin, Patrick C. Commuter Railroads. 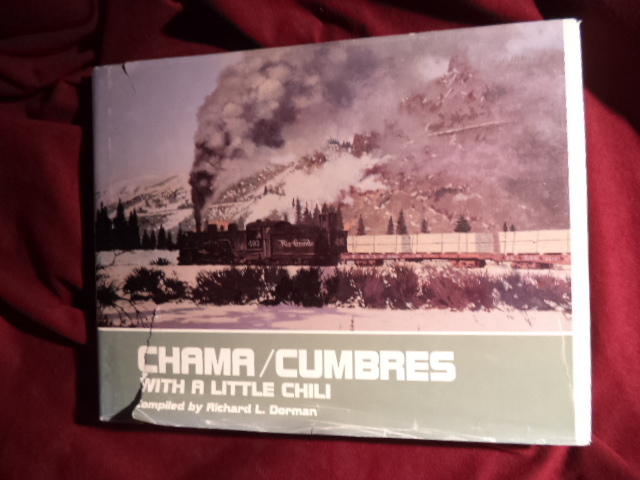 A Pictorial Review of the Most Travelled Railroads. New York. Bonanza. 1970. 192 pps. 4to. Hardcover. Reprint. Illustrated. Fine copy in fine dust jacket (in mylar). Dorin, Patrick C. Everywhere West. The Burlington West. Seattle. Superior Pub. 1976. 173 pps. 4to. Hardcover. First edition. Illustrated. Fine copy in fine dust jacket (in mylar). Dorin, Patrick C. Everywhere West. The Burlington West. Photo available. Seattle. Superior Pub. 1976. 173 pps. 4to. Hardcover. First edition. Illustrated. Fine copy (name on end paper) in near fine (very light shelf wear) dust jacket (in mylar). Dorin, Patrick. 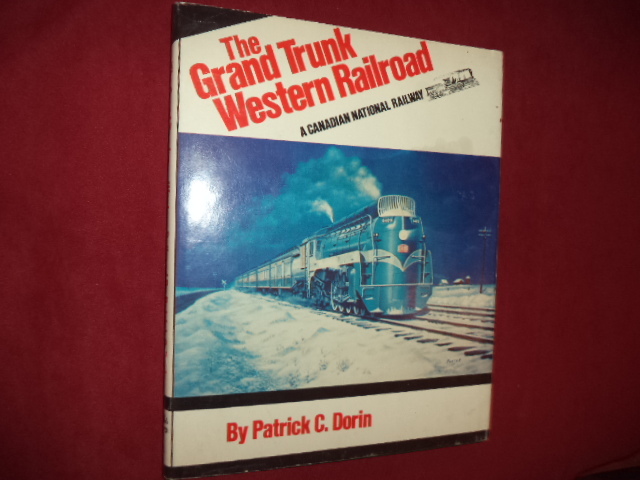 The Grand Trunk Western Railway. A Canadian National Railway. Photo available. Seattle. Superior Publishing. 1977. 172 pps. 4to. Hardcover. First edition. Illustrated. Fine copy in fine dust jacket (in mylar). Dorin, Patrick. The Lake Superior Iron Ore Railroads. The World's Heaviest Trains. Photo available. Seattle. Superior Publishing. 1969. 144 pps. 4to. Hardcover. First edition. Illustrated. Fine copy in near fine dust jacket (in mylar). Dorin, Patrick. 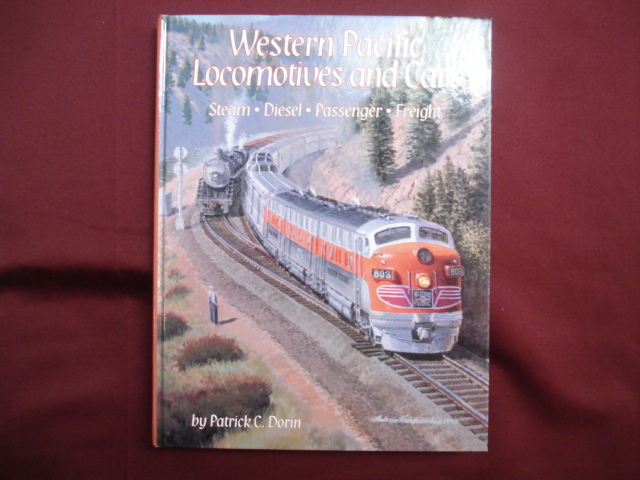 Western Pacific Locomotives and Cars. Steam, Diesel, Passenger, Freight. Photo available. Lynchburg. TLC Pub. 1998. 128 pps. 4to. Hardcover. First edition. Illustrated in color and black & white. Fine copy. Dorman, Richard. Chama / Cumbres. With a Little Chili. Limited edition. Inscribed by the author. Volume Three. Photo available. Santa Fe. R.D. Pub. 1988. 206 pps. 4to. Hardcover. First edition. Limited edition Illustrated. Important reference work. Limited edition, number 488. Inscribed by the author "#488 Loren Durr Thank you! Come see us! 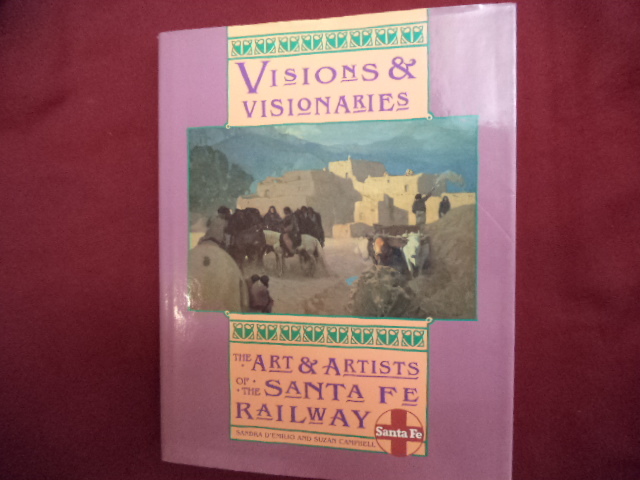 Richard L. Dorman, Santa Fe December, 7, 1988". Fine copy in very good (edge chipped) dust jacket (in mylar). Dougill, David. Blackpool's Buses. Glossop. Transport Pub. 1982. Octavo. Decorated hard cover. First edition. Illustrated. Fine copy. Douglas, George. All Aboard! 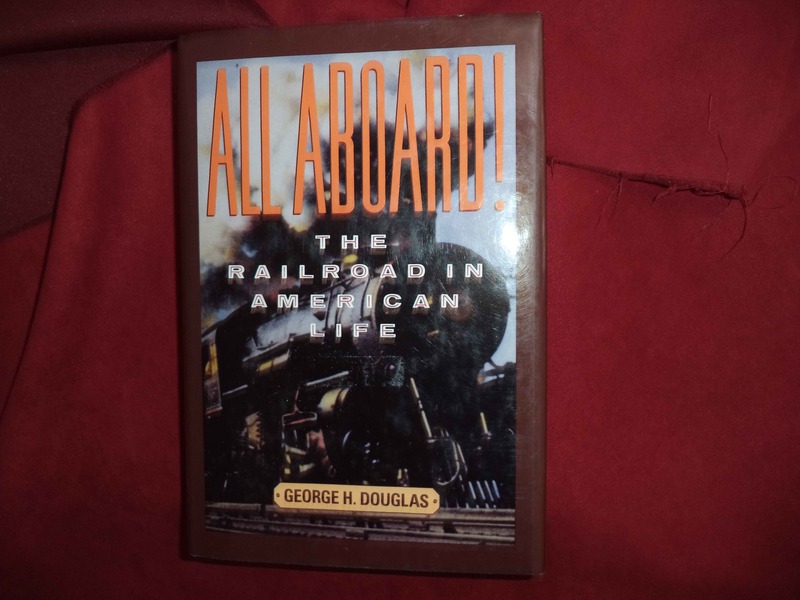 The Railroad in America Life. Photo available. New York. Smithmark. 1996. 462 pps. Octavo. Hardcover. First edition. Illustrated. Fine copy in fine dust jacket (in mylar).